John is co-director of Sullivan's Real Estate Department. Experienced in all aspects of real estate law and transactions, his practice focuses on acquisitions, financings and development work. 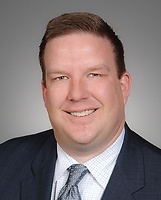 In particular, John represents REITs in the office, hotel and senior housing industries in connection with their acquisition, disposition, financing and leasing of large portfolios and individual assets. In 2018, John has closed in excess of $1.2 billion in acquisitions on behalf of his REIT clients. John frequently advises foreign investors in the U.S. real estate markets. He also frequently represents borrows and lenders for senior housing projects. He is active in the legal community and co-chaired the Boston Bar Association’s Real Estate Finance Committee in 2004 and 2005. He also chaired the firm’s Hiring Committee.